Brian Robinson Machinery (BRM) can also meet all of your forestry equipment needs. Here at the store, you can choose from outstanding brands such as Junkkari, Rabaud, Jake and Eschlbock. They are responsible for crafting some of the finest wood chippers, log trailers and related forestry equipment available in the UK today. This brand of forestry machinery is crafted in the cold climate of Finland, where tools require extra bite to get the job done. After starting out in the 1950s, Junkkari wood chippers and log trailers have earned a tremendous reputation. 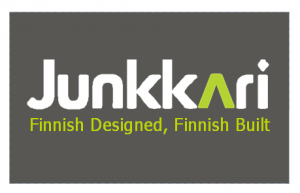 Junkkari chippers come in a few different models across non-feeding, direct-feeding and contract work categories. Rabaud has consistently pursued innovation in its development of agricultural equipmen t since opening in Northwest France in 1980. This philosophy has facilitated the development of elite forestry products. Rabaud wood chippers impress with their huge shredding capacity and five-in-one rotors. Rabaud offer a wide range of log splitters and wood processors. Jake is the second Finnish brand to appear in BRM forestry machinery. Like Junkkari, Jake forestry machinery also dates back to the 1950s, thus addin g to the company’s heritage. However, Jake operates with more of a focus on creating mountable machinery for tractors and other vehicles. The addition of armour plates, axle stabilisers, boom supports or hydraulic supports could dramatically enhance your forestry capabilities. Eschlbock is another of our brands that can trace its roots back to the 1950s, but this time to Austria. These days, farmers can turn to Eschlbock wood chippers whether they need small or large-scale functionality. It all starts with the manually-fed chippers and their maximum wood diameter of 14cm to 35cm. But you can go much bigger with the crane-fed Eschlbock chippers and their enormous industrial capacities. The Eschlbock Biber range can chip logs up to a diameter of 60cm with an intake width of nearly 1.5m. You can take full of advantage of our knowledge on forestry equipment by calling BRM now on 01325 378552. There is also email support via enquiries@brmltd.co.uk. Please call in to BRM for a chat about how we can help you.